Please read this page and our terms & conditions carefully, before placing an order! Please order and pay by using our online form. ORDER HERE! Please read all the information below, before you place an order. If you have got any questions or problems, please send a mail to tango@tangodesalon.de. 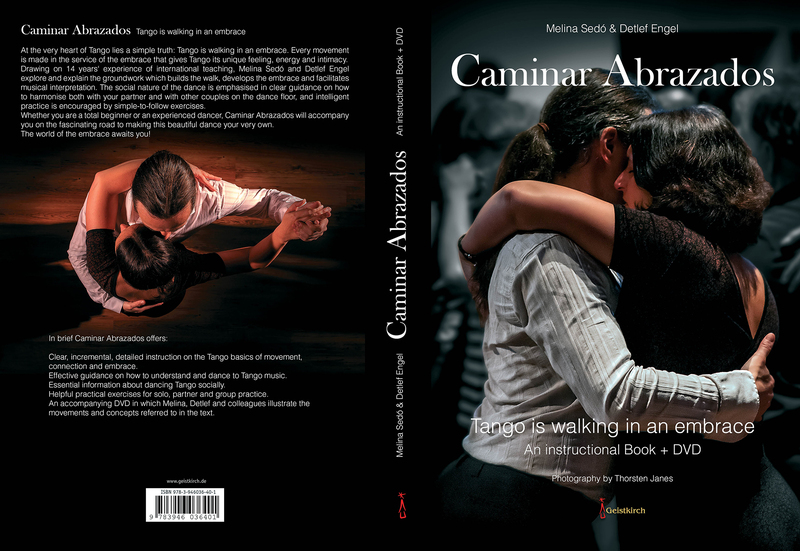 If you are a Tango school, Milonga organiser or interested in selling our book to your friends, please send a mail to tango@tangodesalon.de. We offer special conditions for re-sellers. After having made your order, you will be re-directed to a payment page, that will give you all information about how to pay. 1. Paypal: This is the easiest way. As a Paypal client, you know what do do. If you want to open a Paypal account, just click the Paypal button and take it from there. 3. Advance payment by bank transfer: Transfer the money to our bank account. As soon as your payment arrives, your order will be shipped. Please do not send any cheques! We cannot accept liability in case of loss of cash or cheques sent to us. We ship bigger quantities for fair prices via Hermes or another shipping company. To order more than 2 Books+DVD, please write a mail to tango@tangodesalon.de. For shipping information, cancellations and returns, please read our terms & conditions. The DVD included in Caminar Abrazados was produced in Europe and uses the tv-standard PAL. The DVD will play on all computers, no matter which operating system or where you live. But please be aware that older DVD-players for TVs in the USA and some South Americas countries (NTSC) or in Russia and some African countries (SECAM) might not be able to read the PAL format. Please inform yourself in advance about your national tv-standard and the options on your DVD player.